Print the pages of your choice. Color and cut the pieces out. Glue the pieces to a toilet paper tube. Fold the arm pieces on the line before gluing in place. 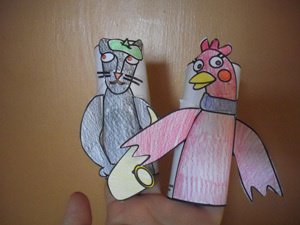 Check out more toilet paper tube puppets here.